Robert Kirkman's latest comic book adaptation twists the familiar into something grisly and (mostly) fresh. 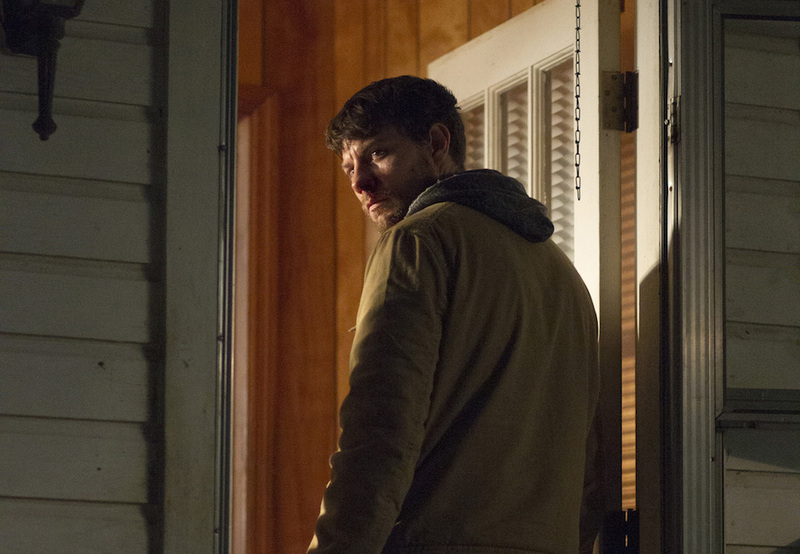 Upon first glance — or even after the first episode — “Outcast” may seem overly familiar. A reverend exorcizes a demon from a small boy with the assistance of an inexperienced but powerful friend. Bodies levitate. Curses are shouted. The power of Christ compels. Yet the choice moments where squeamish viewers (like yours truly) say, “Ew,” are the very same scenes that make “Outcast” its own spin on the Man v. Satan dynamic. Creator Robert Kirkman and showrunner Chris Black know just when to switch things up, toss a curveball or add an extra, unexpected element — often through a particularly gruesome, bloody and extravagant event — but they’re also quite patient in doing so. After one hour, “Outcast” doesn’t seem all that special. After four (the number of episodes provided for review), it’s on a mysterious path with just enough intrigue to merit sticking around — especially for horror buffs. Adapted from the 2014 comic by Kirkman, “Outcast” follows a reclusive man with inexplicable (or even definable) abilities who sets out with his friend, a Reverend, to free possessed citizens of a small town in West Virginia. Both men have demons inside them. Reverend Anderson’s are figurative, as the man of God swears up a storm and likes gambling a little more than he should. Kyle’s, however, are literal. He’s been haunted in one way or another all his life, and now he’s on a quest to find out why…and how to end it. In an age where nearly everything is serialized, to the point where “episodic” carries a negative connotation, Kirkman and Black have found a way to tell their story combining both elements. No, not in the lazy manner typical of broadcast TV, where a through-line — like an expected onscreen romance — percolates for three seasons, lasts two, ends for four and is reestablished in the final year, all while the duo solve cases-of-the-week. “Outcast” sets itself up similar to the latter half of that, with Kyle and the Reverend getting a new case to conquer every week. But the story doesn’t always revolve specifically around the newly possessed person, nor does it stray from the ongoing narrative thread. Kyle’s search for answers is always at the forefront, and significant steps are taken in each and every episode so far. Yet even if the line between serialized and episodic may seem delicate, the moving pieces in “Outcast” always feel like there’s solid ground beneath them. We get to know each character; if not overly well then paced to a satisfying slowness. The town of Rome feels authentic, even if the same framing is used on multiple occasions as an establishing shot. And, really, the overall look of the series — as set by indie horror director Adam Wingard — feels veritable in its sparseness. Frankly, there are a few too many jump scares for my liking, but the writers earn more credit than most who employee the technique by making most of these jolts relevant to Kyle’s backstory. The overall worth of “Outcast” will be determined by its final destination — it’s already been picked up for a second season, but fans should know whether to stick around or not by the end of its initial run. Its promise to subvert expectations later by slightly increasing the substantial switcheroos with each episode could be a slow burn to nowhere or the fuse lighting a power keg. Here’s hoping for the latter.